साँगबर्ड हे एक म्युझिक प्लेअर आणि म्युझिक ऑर्गनायझर सॉफ्टवेअर आहे. याचा वापर करुन तुम्ही गाणी वाजवू शकता, विविध प्लेलिस्ट बनवु शकता तसेच तुमच्या आवडीचे म्युझिक शोधु शकता. साँगबर्ड मधे तुम्हाला इंटीग्रेटेड वेबबॉउजर वापरायला मिळतो त्यात bookmarking, tabbed browsing इत्यादी सुविधा वापरायला मिळतात. साँगबर्ड मधे विविध plug-ins वापरुन तुमच्या गरजेनुसार त्यात बदल करता येतात. साँगबर्डची feathers म्हणजेच Skins वापरुन तुमच्या आवडीनुसार त्याची युजर इंटरफेस बदलता येते. तुम्ही जर Firefox आणि iTunes चे चाहते असाल तर साँगबर्ड तुम्हाला अतिशय सोपे वाटेल आणि नक्की आवडेल. Winamp, VLC यासाख्या लोकप्रिय ऑडिओ प्लेअरच्या पुढे जाउन जर एखाद्या उपयुक्त म्युझिक प्लेअरच्या शोधात तुम्ही असाल तर music player, Web browser, music discovery, management, आणि playback च्या विविध सिविधा पुरविणारे साँगबर्ड नक्की तुमच्या पसंतीस उतरेल. Songbird is a complete, full-featured music player and organizer with support for plug-ins and an extensive user community. Using Songbird you can manage, play and discover music. It's free, cross-platform, highly customizable thanks to a wide variety of plug-ins and can be improved and extended by the contribution of its user community. · Media Importing - Add media to Songbird by importing from your file system or iTunes. · Media Playback - Songbird supports MP3, FLAC, and Vorbis on all platforms; WMA and WMA DRM on Windows; and AAC and Fairplay on Windows and Mac. · GStreamer - Songbird now uses GStreamer as our main media playback system, across all platforms. · Smart Playlists - Create dynamic playlists that automatically update based on criteria you set. · Web Browser - Songbird includes an integrated web browser with features like bookmarking, tabbed browsing, and more. · Library Management - Browse, organize, sort and search your media. 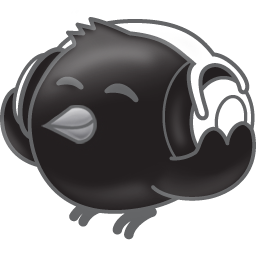 · Cross Platform - Songbird runs on Windows, Linux and Mac. · Device Support - Songbird’s device support is limited. The Device Support wiki has additional details about what’s supported. Apple iPhones, iPod Touch and Microsoft Zune devices are not yet supported. · Album Artwork - Display the currently playing track’s album art and write new artwork back to the file. We still need to support album art fetching. · Subscriptions - Subscribe to music blogs and download music directly to your library.